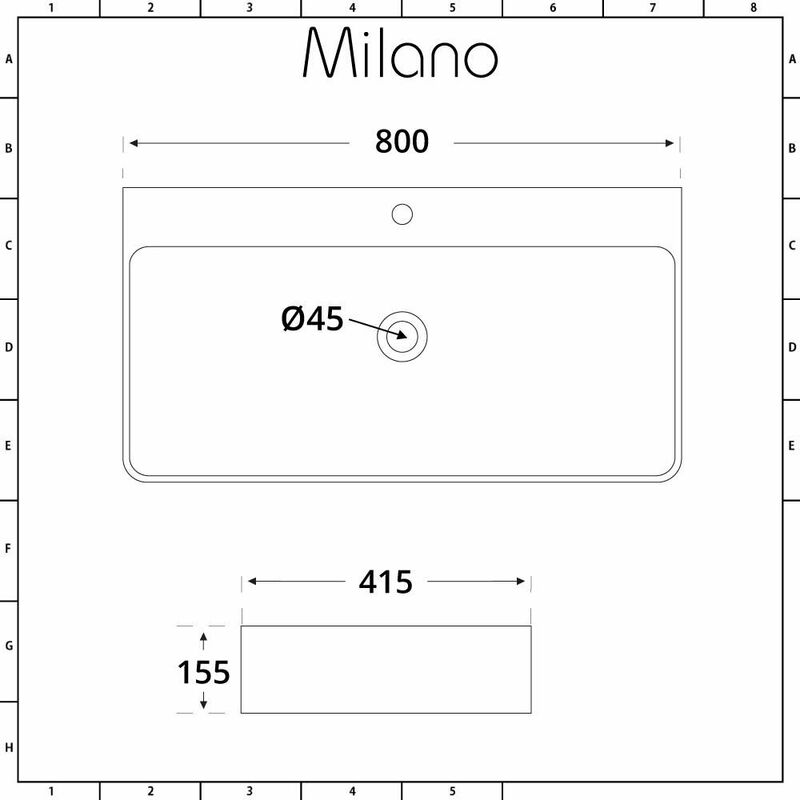 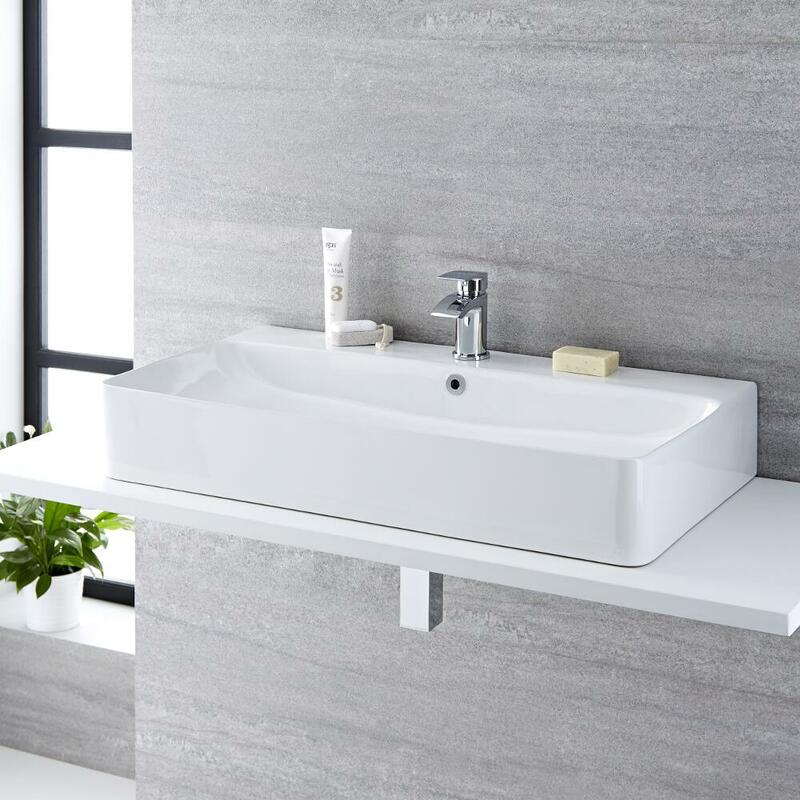 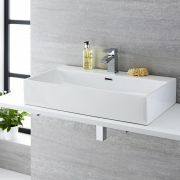 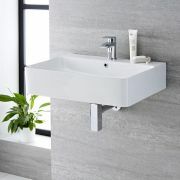 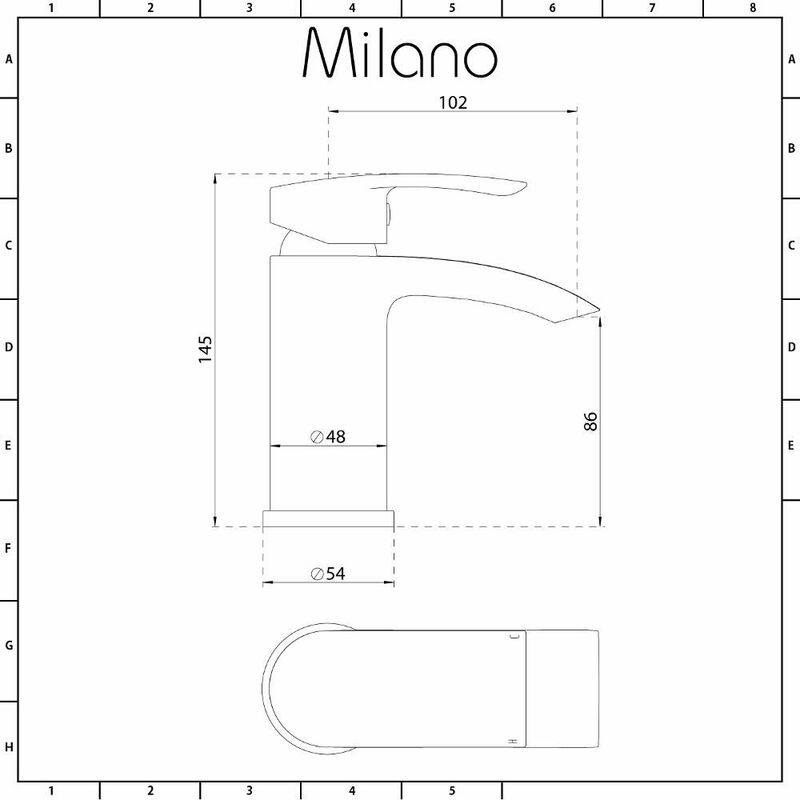 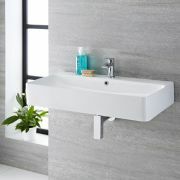 Bring spa-style luxury to your bathroom with the Milano Farington 800mm countertop basin and mono mixer tap set. 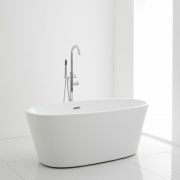 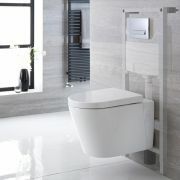 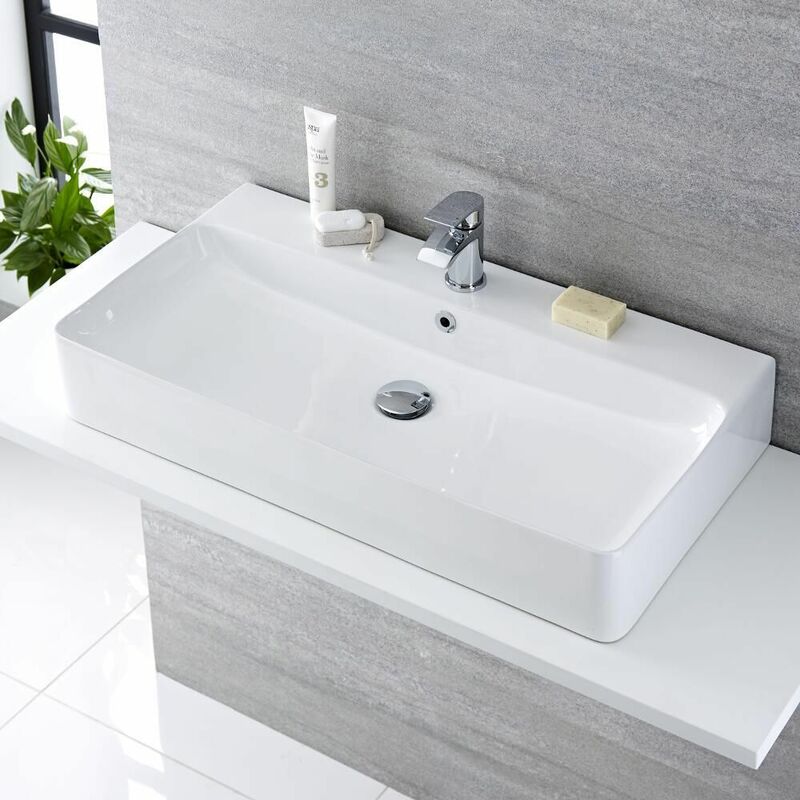 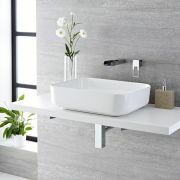 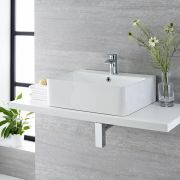 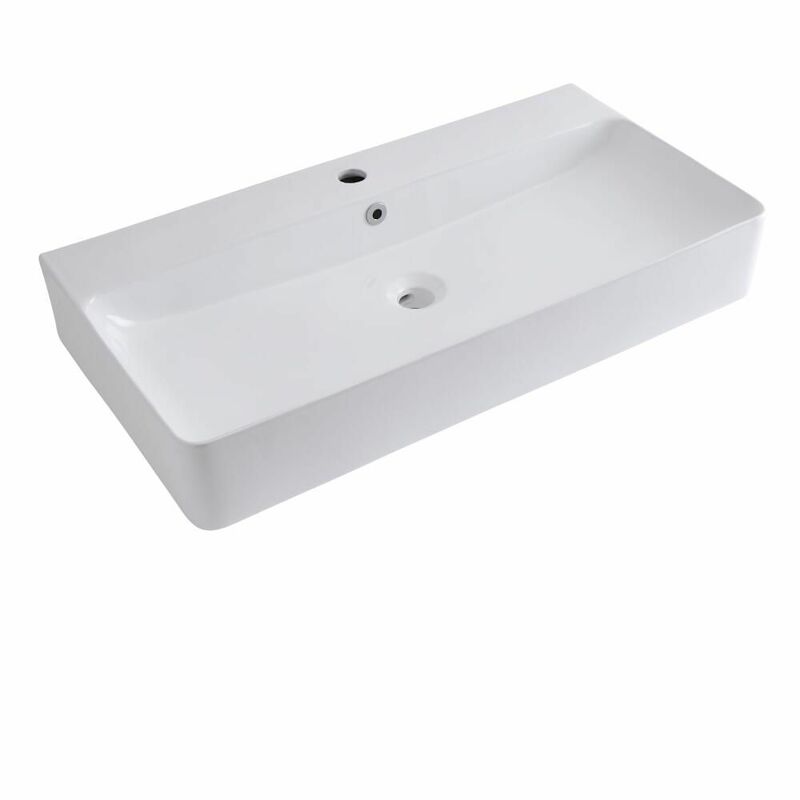 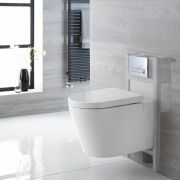 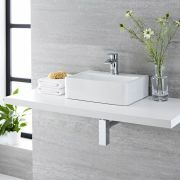 Crafted from premium quality ceramic with an easy to clean white glazed finish, the basin features ample wash space and a sleek, sophisticated design, which is perfectly enhanced by the mono mixer tap. 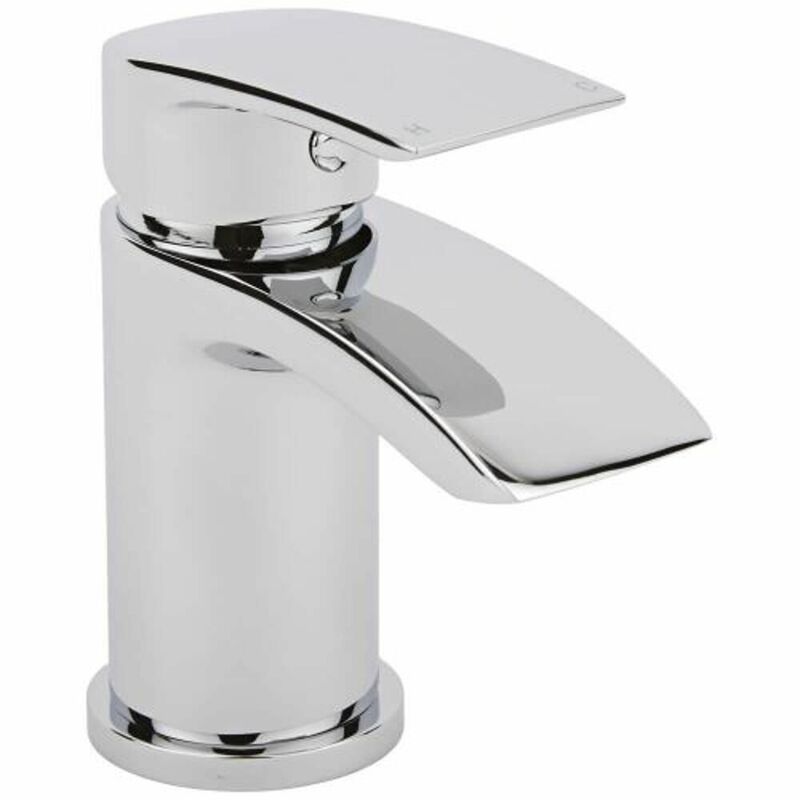 The solid brass basin tap has a hard-wearing chrome finish that blends in easily with any bathroom décor and an easy to use lever handle that controls the water flow and temperature.